Have you ever clicked “publish” on one of your blog posts only to realize that you forgot to include something important? Maybe it was a call-to-action. Maybe it was a meta description. Or maybe it was just that cute photo of a puppy that looked like the perfect fit for your post. The point is that you forgot about something, and it’s not hard to understand why. 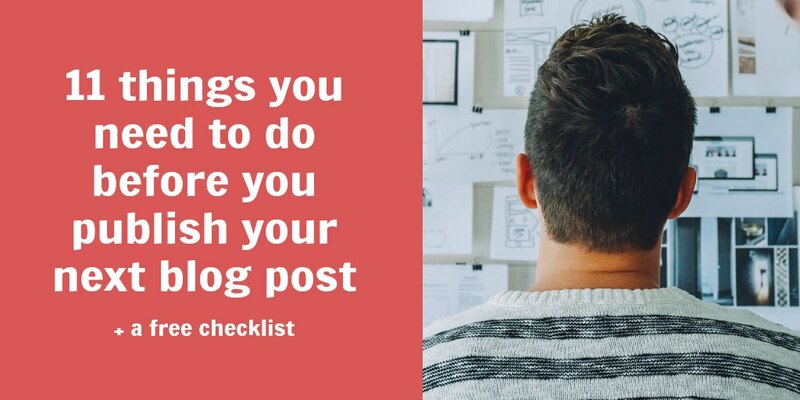 There are so many things you need to do before you publish a blog post. How on Earth are you supposed to remember them all? Well, my friend, to help you keep track of all the details, I’m using this post to share the 11 most important things to do before you publish your next blog post. I’ve also created a free downloadable checklist that you can use each time you create a post so that you never forget any of these items ever again. If you’re a regular on the Inpression Editing blog, you know that I love to talk about writing great blog post titles. And there’s a reason why: Titles may seem like something you slap onto a post right before you hit “publish.” But strong titles are essential to your post. And if you don’t take the time to write a good one, all of the time you’ve spent creating the rest of your post will go to waste. That’s why it’s so important to create a killer title before you publish your next blog post. So what does a killer title look like? You’ll find lots of different formulas online, including the ones I share in my free downloadable resource on 72 magnetic blog post title templates. But they all have two things in common: they include keywords related to your post and tempt readers to click on them. If your title is strong enough to convince people to click on your post, your introduction is the next place you could lose them. That’s why you want to write an introduction that’s so solid your readers can’t help but stick around. Before you publish your next blog post, write an introduction that hooks your readers and tells them what you’ll be sharing in the post. Related post: How to write an epic blog post introduction. As I mentioned in a recent post, most people don’t read your blog posts from beginning to end; they scan them. Because your fans aren’t reading every word you write, you can’t format your posts the same way that you would format a novel. To make sure that your scanning tribe still picks up on the key messages and calls-to-action in your posts, format your content for scanners before you publish your next blog post. This means ditching big chunks of text, including subheadings, and leaving room for lots of white space. Related post: How to write scannable blog posts people actually read + free checklist. Adding external links is another key step to complete before you publish your next blog post. External links are links that lead from your blog post to another website or blog. Adding external links is a great way to direct people to additional information you can’t fit in your post. Some people shy away from including external links in their posts because they think these links will only send their readers to potential competitors. But the truth is that by including external links in your post, you’re directing your readers to other valuable information. And what happens when you give your readers value? They’re more likely to come back for more. Adding external links is also an important part of making your post SEO friendly (which I’ll explain in more detail in #10). By linking your blog post to credible sites and blogs in your industry, you can boost your own SEO juice. If your readers click on an external link in your blog post, you don’t want them to have trouble finding their way back to you. That’s why you want external links to open in a new browser tab instead of in the one your blog post is in. When you set external links to open in a new tab, you let your readers explore your external link while making it easy for them to return to your post. Simple, right? So you have no excuse to not do it before you publish your next blog post. Most of you probably know that you need to include external links in your blog posts. But you may not always remember to create internal links before you publish your blog posts. Internal links are links from your blog post to other posts or pages on your blog or website. They help you provide your readers with more information (which equals more value) and keep your readers on your blog or website longer. When you’re creating a blog post, you may focus mostly on the text in your post. But don’t forget about inserting some visuals before you publish your post. And I’m not saying this because it’s what everyone says or because visuals make a post look nice (although they often do). Data from HubSpot shows that content with relevant images gets 94% more views than content without images does. If you can, aim to add more than one image per blog post. Stats show that posts with an image for every 75–100 words get almost twice the number of social shares than articles with fewer images do. If that’s not a reason to go hunting for some good eye candy before you publish your post, I don’t know what is. It may sound crazy, but if you want people to engage with your post, you need to tell them what you want them to do with it. It may seem obvious to you that you want your readers to comment on your post, share it on social media, or fill out an opt-in form. But if you don’t spell this out for your readers, they may not figure it out. So before you publish your next blog post, make sure it has a call-to-action that’s noticeable, powerful, and crystal clear. After all, what good is a blog post that doesn’t convert? Want an easy way to promote the content you’ve already got? 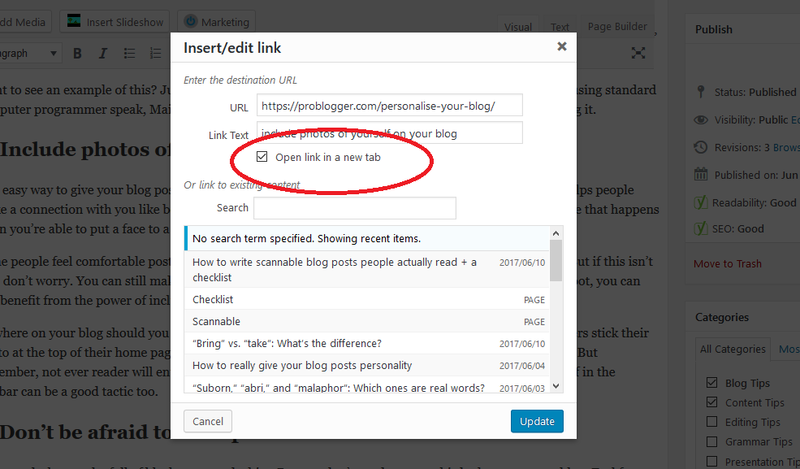 Add links to related content on your blog before you publish your next post. Links to related posts are a specific type of internal link. That’s why they have the same benefits: they provide additional value, keep readers on your site, and help your SEO. But because a list of related posts is often set off from other text, it’s more salient to your readers than the internal links in your paragraphs are. Want to keep getting traffic from your blog posts long after you first share them? Of course you do. That’s why you’ve got to think about SEO before you publish your next blog post. When you take the time to do SEO right, you set yourself up to get consistent traffic from Google, Bing, Yahoo, and other search engines. Search engine algorithms are based more and more on how people actually consume content. 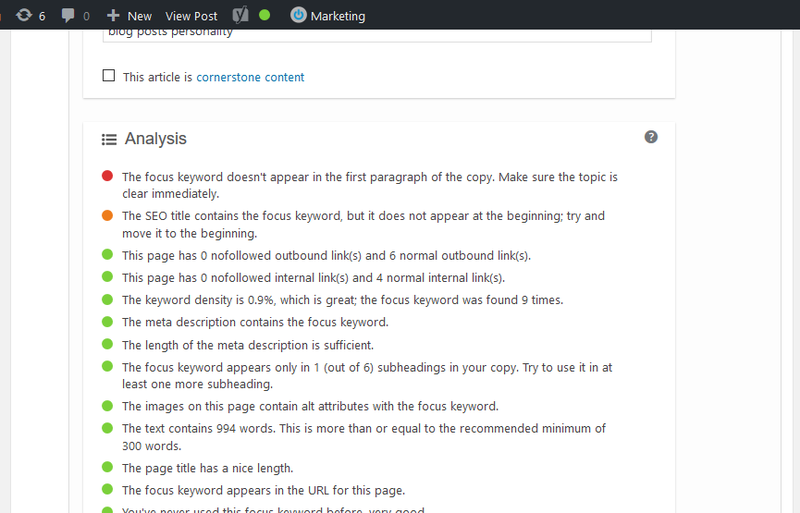 So many of the things you do to make your post SEO friendly optimizes it for your human readers as well. There’s one more thing that’s helpful to do before you publish your next blog post: add the Facebook pixel. The Facebook pixel is a snippet of code that you add to your blog post. It gets added to the “code” of your posts, so your readers won’t see it. What does the Facebook pixel do? When someone lands on a blog post with the Facebook pixel, it sends information back to Facebook about who was on the post. You can then use this information to create Facebook Ads campaigns that target only these people. For example, if you write a blog post that indirectly promotes your new ebook, you may want to target the people who read the post with a Facebook Ads campaign. After all, if they read your post, they may be more interested in the topic your ebook covers than your average ideal customer is. You may not have plans to advertise on Facebook anytime soon. 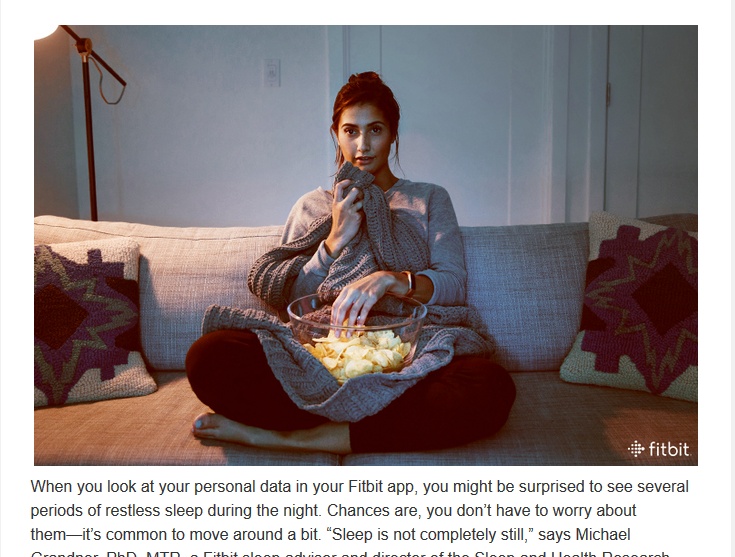 But if you add the pixel now, you’ll at least have the data later on if you want to use it. As you can see, sharing content on your blog involves more than just pasting some text into your blog editor and hitting “publish.” There are lots of things you need to do before you publish to make sure that you’re optimizing your posts for readers, search engines, and your future business goals. And they may be leaving you feeling a bit overwhelmed. But don’t spiral into an anxiety vortex just yet because I’ve got something that can help. I’ve created a free downloadable checklist to help you get your post ready for publication without missing a beat. This checklist includes all of the items we’ve covered above plus some helpful extra details. Download your copy of the checklist now to make publishing your posts a breeze.